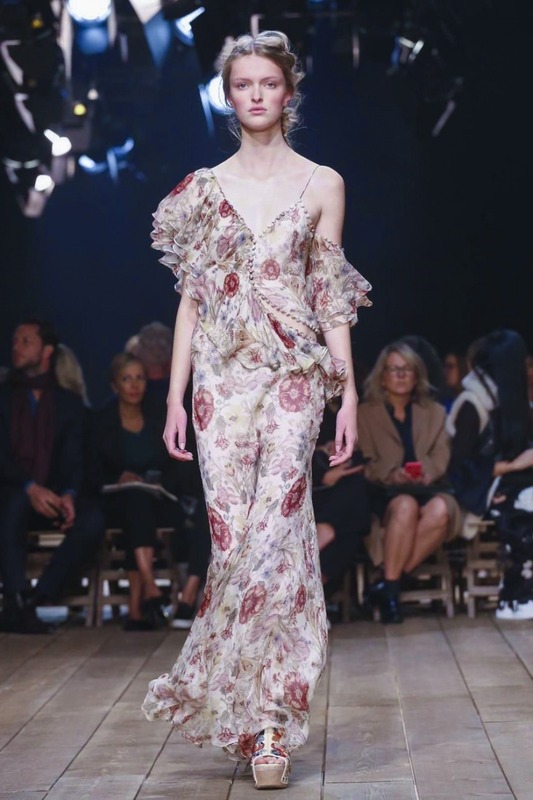 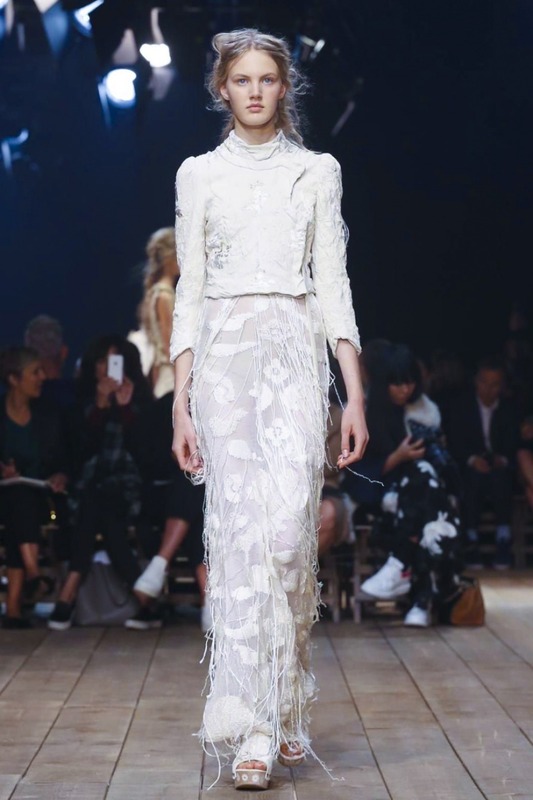 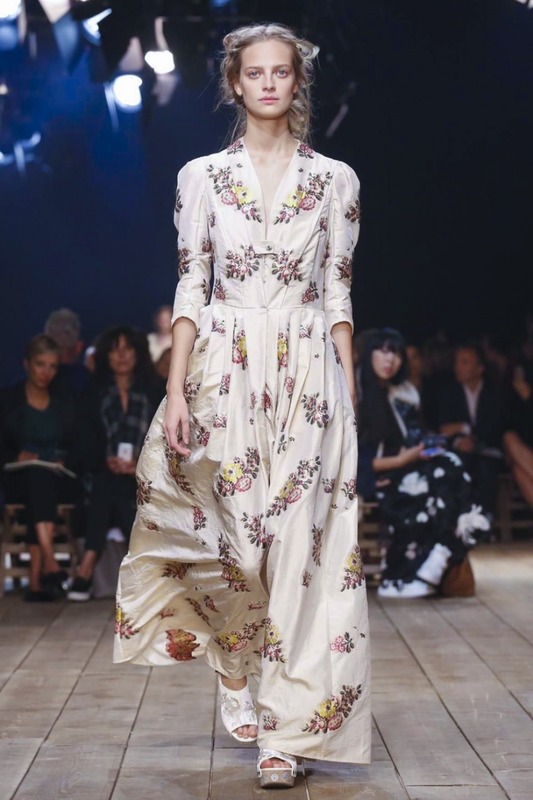 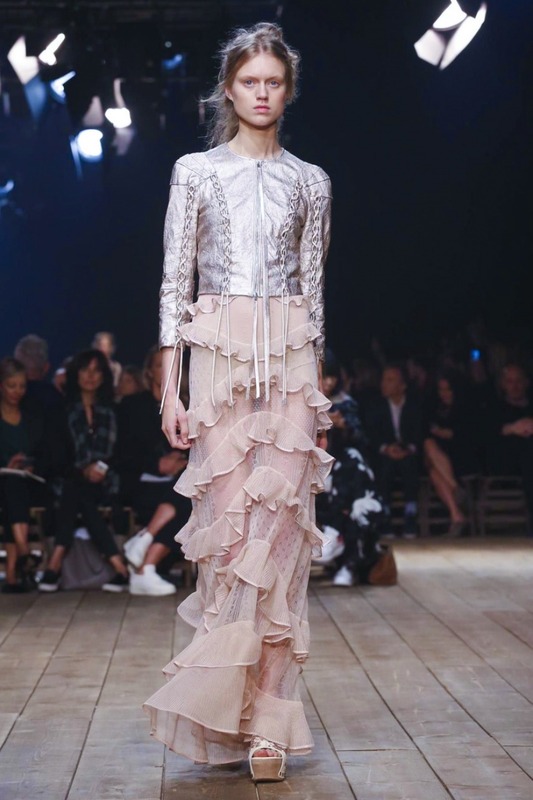 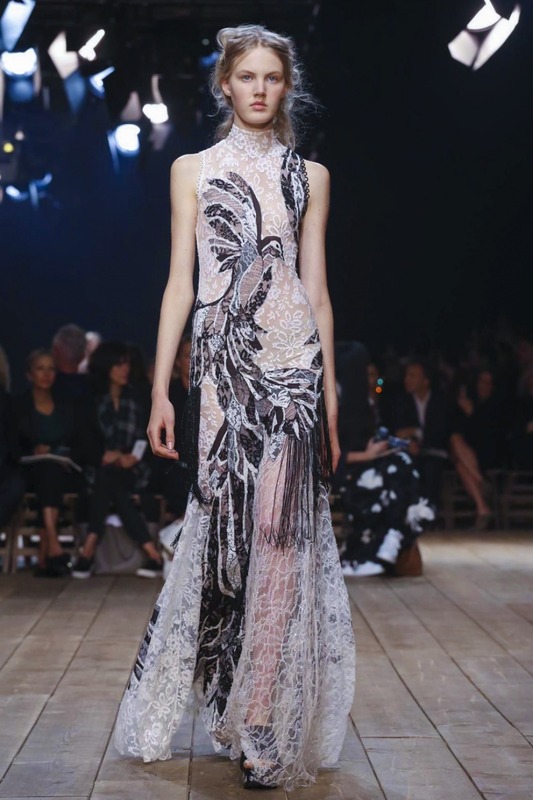 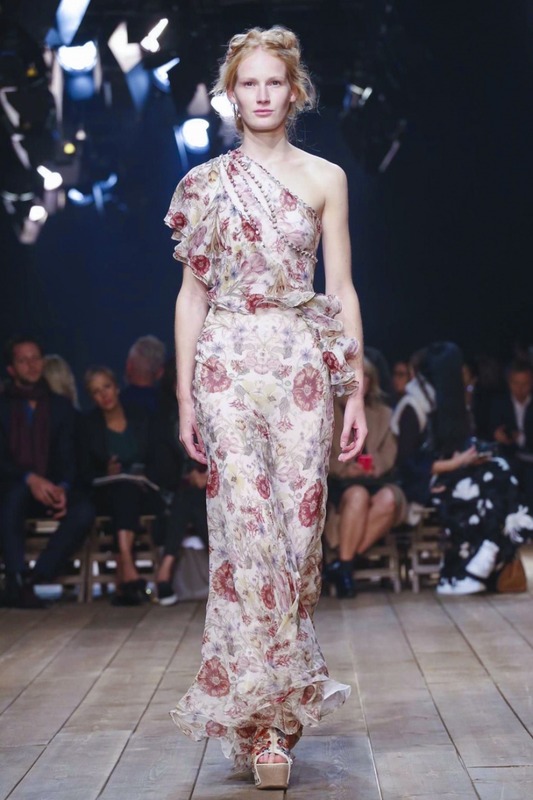 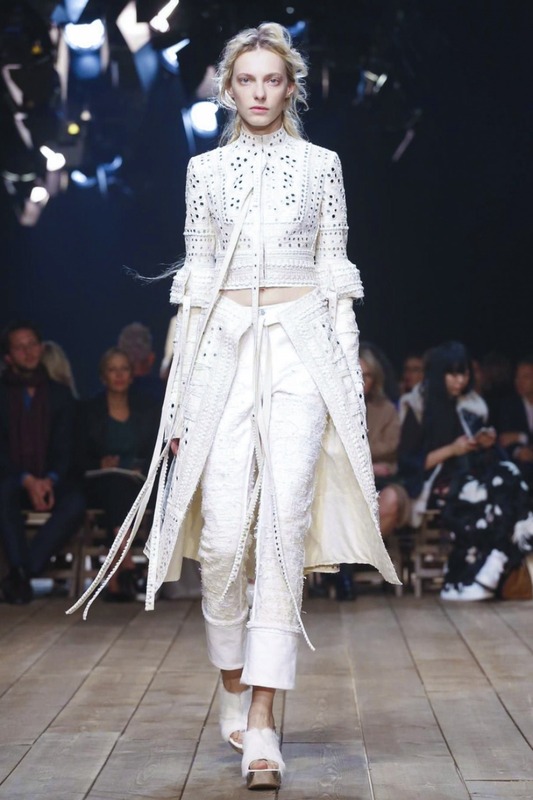 Sarah Burton unveiled Alexander McQueen Spring/Summer 2016 collection.It is most personal collection designed by Sarah Burton since she took over as creative director of Alexander McQueen. 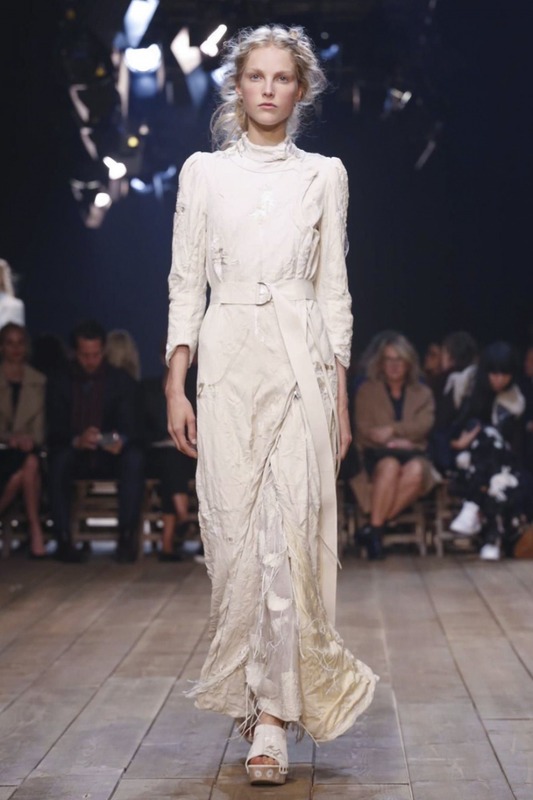 “I wanted it to be believable, touchable, soft,” said Burton backstage. 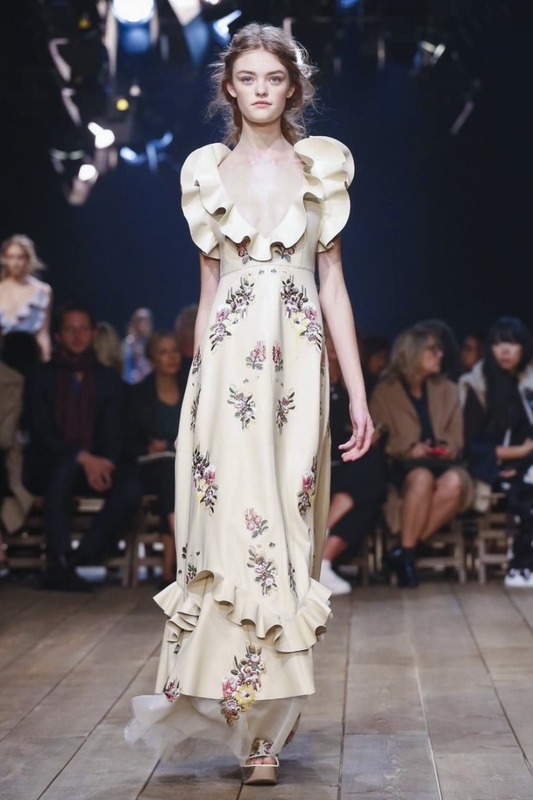 To an extent, the beautiful dresses—with their ruffles cascading across the body and falling off shoulders, the palette of pale pink, the flower-strewn patterns, the pristine cotton, the tattered lace, and the frock-coated tailoring—speak for themselves. 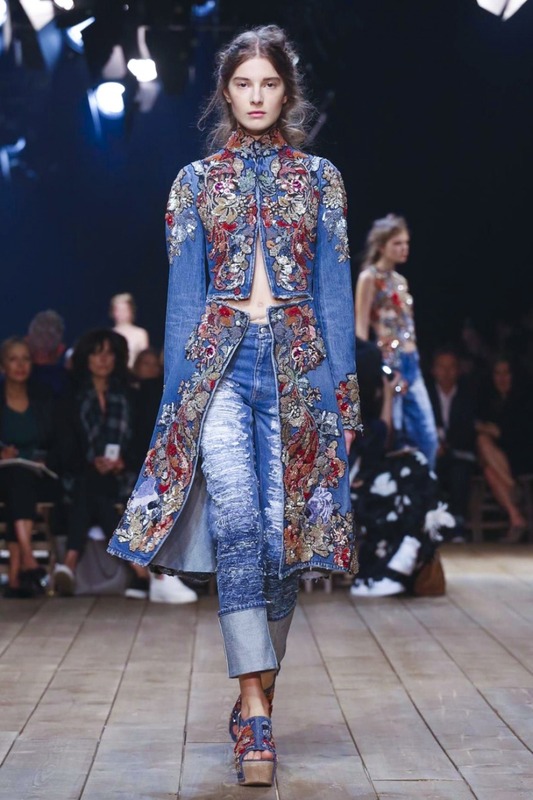 Everything about them in these times when every camera phone has a zoom lens can be examined in all their extraordinary detail, down to the finest knitted stitches, the flower-painted wooden clogs, and the couture-level embroidery. 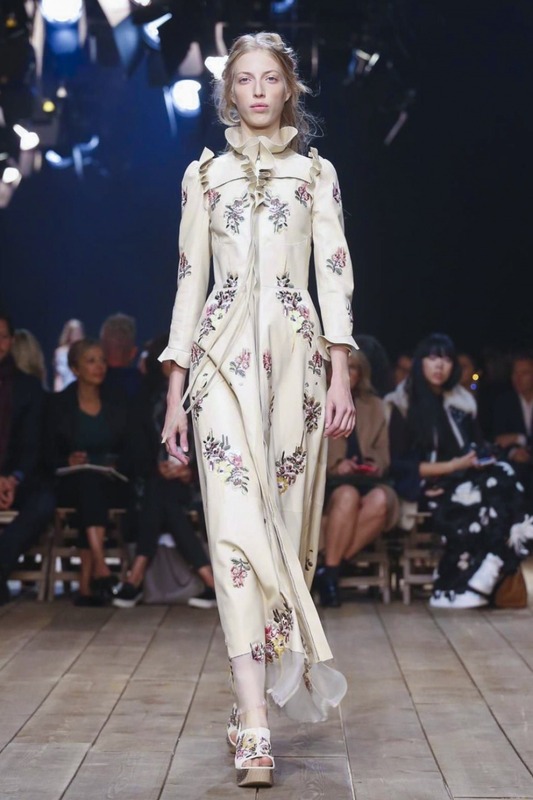 On the other hand, for all that the ethereal lightness, whip-smart tailoring, and elaborate designs communicated a new, relaxed, of-the-season relevance, they also carried the story of a London history that Burton wanted to make known. 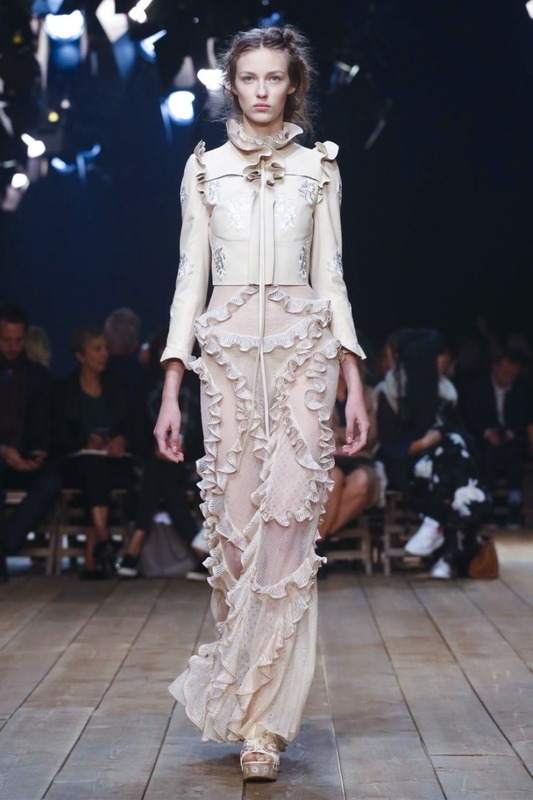 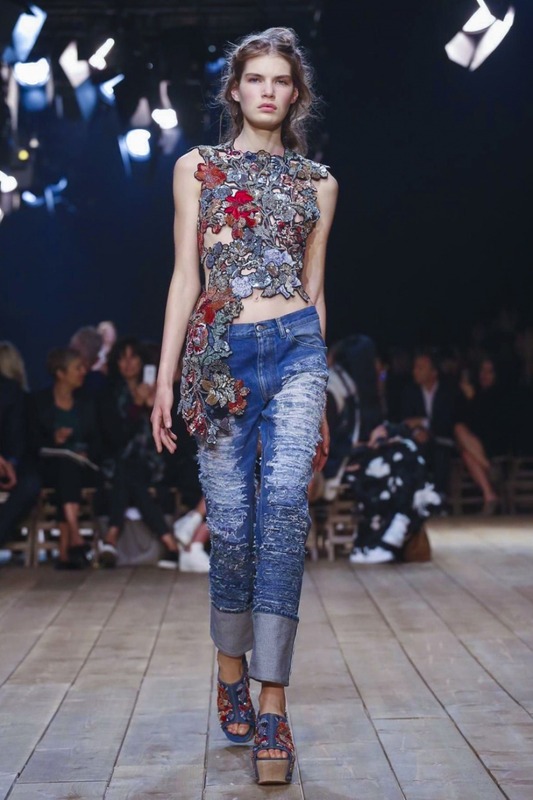 The collection has McQueen DNA but it’s a Sarah Burton who create it.